When it comes to BB Creams the original Asian ones are the best by far; but yet I still like to try a western one every now and then. The Rimmel BB Cream 9-in-1 Skin Perfecting Super Makeup (£6.99) has a ridiculously long name as you can tell, to be honest I am surprised they didn’t just list all 9 of the supposed benefits in the name and be done with it. But, I digress, the BB Cream is a supposed 9-in-1 cream claiming to prime, moisturise, conceal, cover, minimise pores, smooth, mattify, brighten and protect from Mr Sunshine. Pretty bold claims if you ask me. This is available in 3 shades (light, medium, dark) and like most Rimmel products the lightest shade is not actually light and is more suited to a tanned medium skin toned person – which certainly isn’t me. Not off to the best of starts here huh? I persevered anyway because I am such a trooper 🙂 even if it meant me looking like a orange faced Oompa Lumpa. 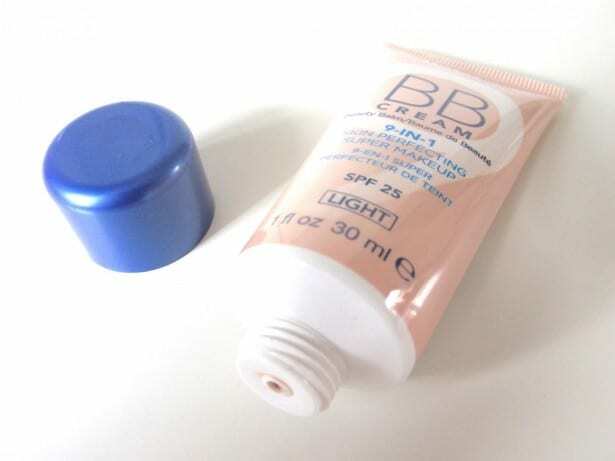 The BB Cream is quite thick when squeezed from the tube but when on the skin it blends fairly easily and doesn’t take much work to spread evenly across the face. In terms of priming the skin I didn’t feel like this did anything near what a primer does so I think Rimmel are telling porkies there, and I feel pretty much the same about the moisturising claim; it feels smooth on the skin but there is no way I would skip using my moisturiser when wearing this – it caked on one or two little dry patches. Also Rimmel seem to have made conceal and cover 2 separate benefits, surely they are the same thing? I was pleasantly surprised when it came to the coverage of this as for a Western BB Cream it does cover/conceal blemishes and imperfections quite well, although it didn’t disguise/minimise my pores in the slightest, but short of me using polyfiller nothing ever will. Once applied and blended this left my skin looking more dewy than it did matte, but also not overly dewy, not only that but it did make my skin appear brighter and glowy without lighting up like a shimmery disco ball so bonus points there Rimmel. On the whole this is OK for a BB Cream but it certainly doesn’t live up to the bold claims made, but if you have pretty good skin to start with and are looking for a product to give you lightweight wear and a bit of a glow then this one is for you – as long as you are not pale. 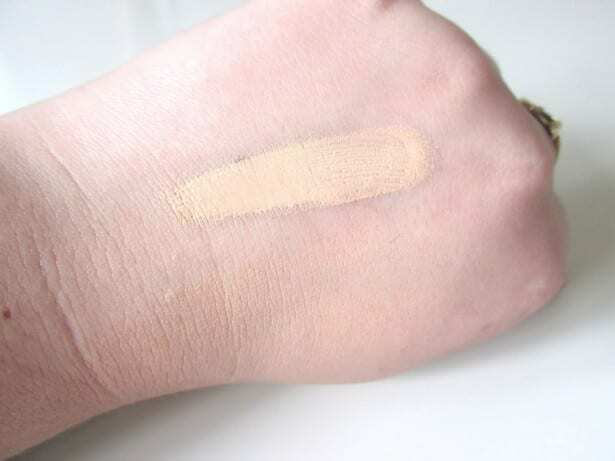 I would recommend swatching this in store then taking a look at the colour match whilst outside before purchasing as this is in no way a light shade in my opinion. 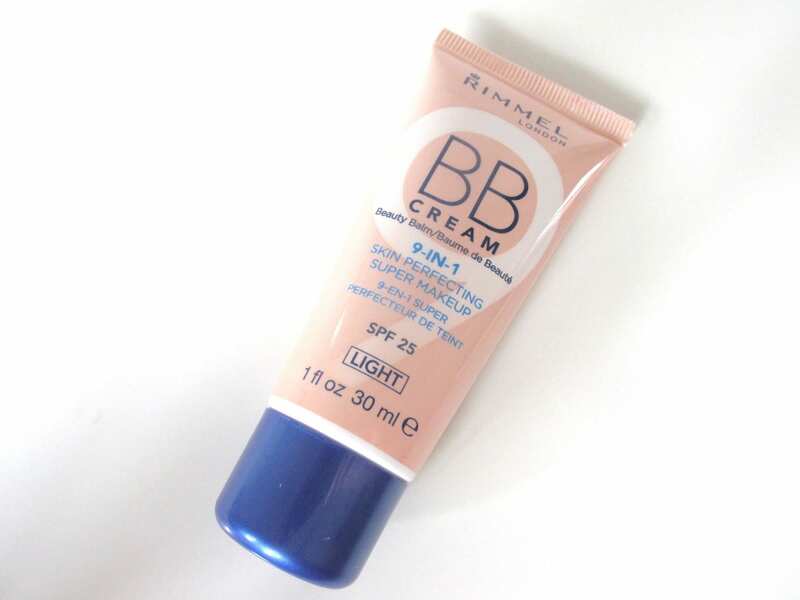 If you do decide to give The Rimmel BB Cream 9-in-1 Skin Perfecting Super Makeup a try you can expect decent coverage, a good wear time and a lightweight feel.